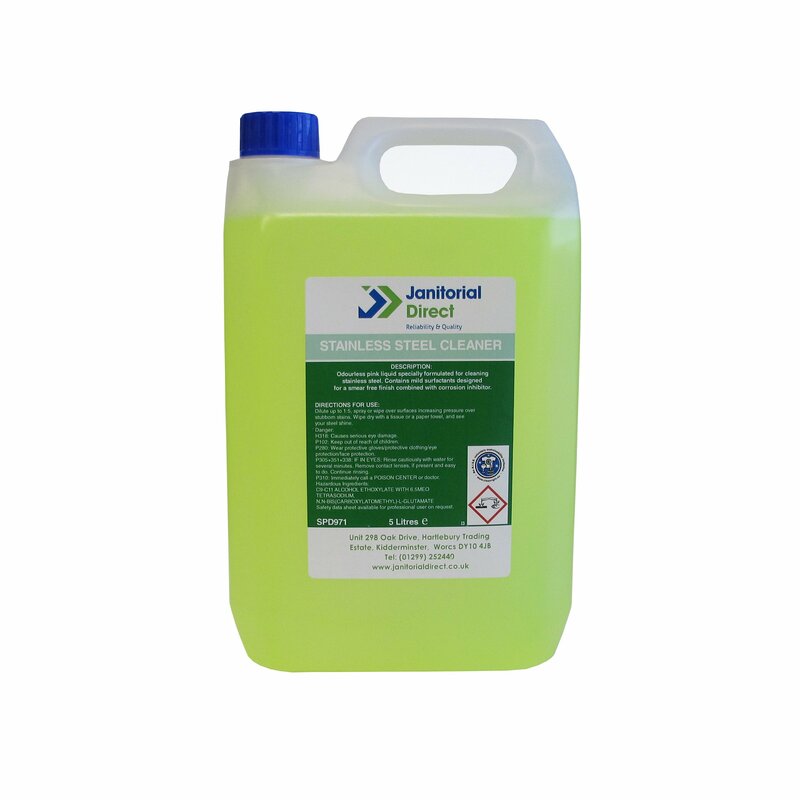 Contains mild surfactants designed for a smear free finish combined with corrosion inhibitor. Removes all dirt and marks quickly and safely. This cleaner will not damage or corrode stainless steel. Dilute up to 1:5 spray or wipe over surfaces increasing pressure over stubborn stains. Wipe dry with a tissue or paper towel, and see the shine.